Elmswell was home to ‘F’ Company 3rd Battalion Home Guard. In 1941 they had 63 men, 51 rifles, four automatic rifles and a Browning machine gun. Little is known about where they mustered or who they were. We don’t know who manned the anti-aircraft gun atop Baker’s Mill, or where the road blocks were located, other than the one outside The Fox pub. I hope that someone will be able to shine more light on Home Guard activities in Elmswell as the Eastern Command Corps Line ran through the village from Wetherden Road through Cross Street and along Church Road, before making its way across the fields behind the Almshouses and the church towards Norton. I was amazed to learn that there is still evidence of the roadblock outside what is now the Pharmacy (by the Station), and had to take a look for myself – it’s incredible that it has survived all these years! 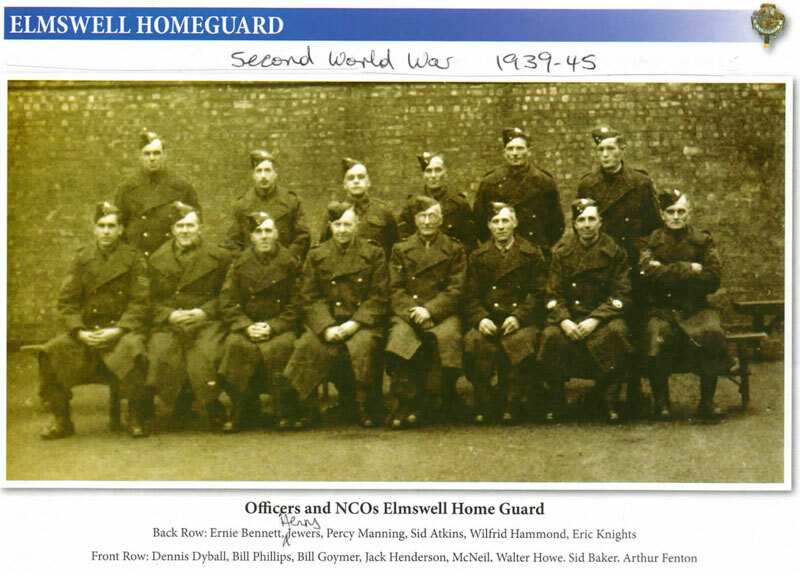 If you can help with this or any other information on the Home Guard in Elmswell, please contact Justyn Keeble, a WW2 Living Historian. or contact any committee member of Elmswell History Group. This information and request appeared in May 2015’s edition of the Elmswell monthly Newsletter. Justyn now lives in Stowmarket, but grew up in Elmswell, his father being the local postman, so knew Stanley King very well.